Treated with paint block to keep paint out and give sharp lines. Low adhesion for freshly painted surfaces, primed plaster boards and most wallpapers. Supplied in a tub to protect against damage. 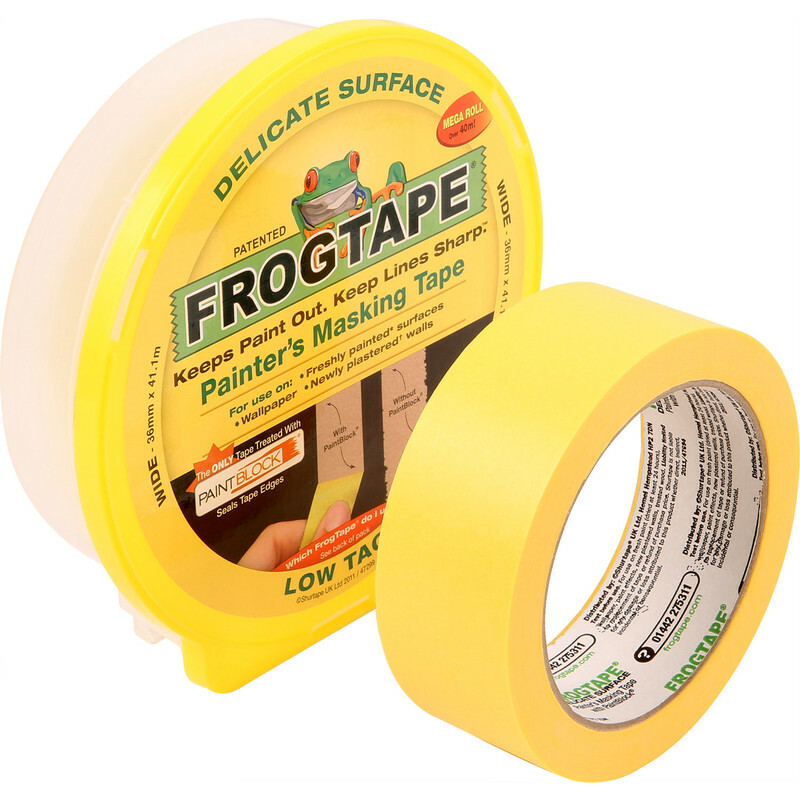 Frogtape Delicate Surface Masking Tape 36mm x 41.1m is rated 3.8 out of 5 by 16. Rated 2 out of 5 by Tomo68 from Not delicate surface masking tape Goes on nice, leaves a nice clean line when removed but don't put it on wallpaper, I made this mistake on a freshly wallpapered wall, I had some cutting in to do on a highly visible area and thought to my self I'll get a nice clean line by putting this masking tape on, it says it's low tack and safe for wallpaper what can go wrong, I applied the masking tape, lovely straight line did what I had to do with the paint, must of been on 30 seconds if that before removing and taking the face off the wallpaper with it, lots of swear words later and 2 pieces of wallpaper striped and replaced I'm cutting in the good old fashioned way, with a nice steady hand. 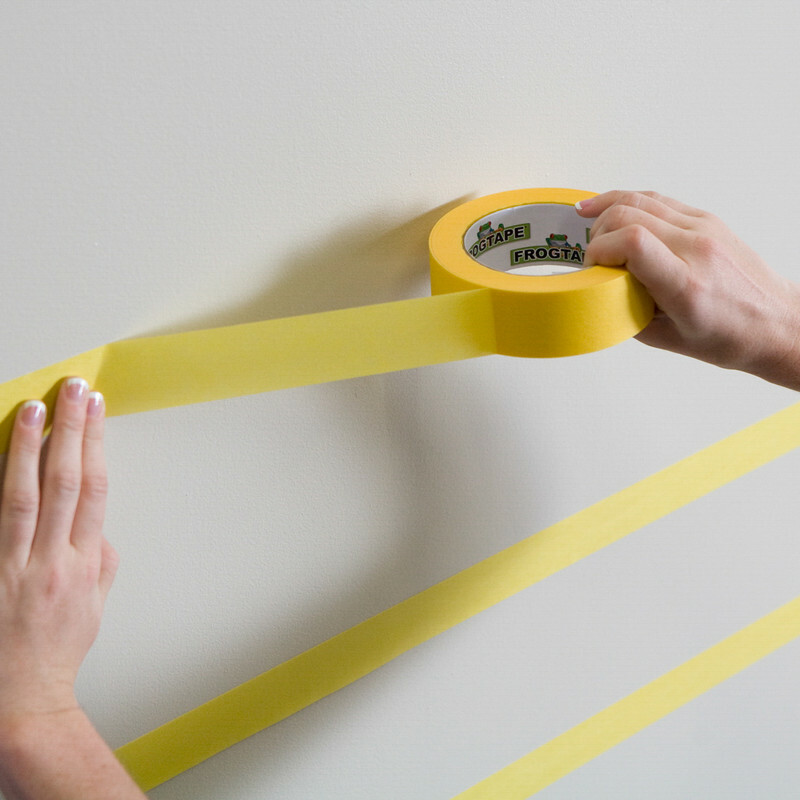 Rated 5 out of 5 by CandJP from Trusted Product This delicate surface masking tape does exactly what it says. 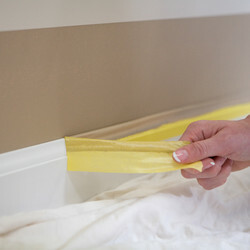 No paint leaking under the edges, leaving edges clean and crisp, absolutely fabulous product. Much better than other masking tapes I have used. Works on irregular surfaces too just as efficiently. Rated 5 out of 5 by Ant 14 from Masking on delicate surfaces Achieved an excellent paint line avoiding any "bleed". Rated 1 out of 5 by 8DMF from Waste of money Purchased as i wanted neat lines of the top of the skirting and wall. The skirting had been painted and dry for several weeks. To my disbelief and a few choice words when removing it pealed the gloss paint off after being applied for only an hour. Better off buying the cheap low tack tape toolstaion sell and avoid disappointment. This tape is only any good to seal up the rubbish bags went full. Don't buy! Rated 5 out of 5 by chris1112222 from Great tape I have been using this tape for a long time and would not use anything else. My hand is not steady enough to get straight lines whilst painting but using this I get excellent results. Rated 3 out of 5 by sparky_mjc from OK but didn't work as i wanted Used on walls painted with emulsion the day before but it still took some of the paint off. Rated 5 out of 5 by Home Decor from Top quality masking tape. I am really pleased with this tape and highly recommend it. As a professional painter & decorator I only use the best quality products.